Bernard Laporte: "What bothers me, primarily, is that the process was misguided, flawed." 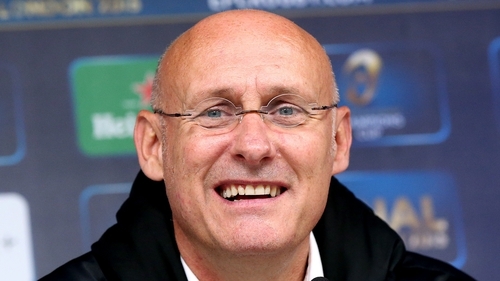 World Rugby has responded to stinging criticism by the French Rugby Federation president Bernard Laporte, claiming his comments were "unfounded and inaccurate". On Thursday, Laporte launched a scathing critique of the host nation selection process for the 2023 Rugby Cup. Speaking to French newspaper Le Figaro, he said: "What bothers me, primarily, is that the process was misguided, flawed. "World Rugby told us that two external and independent companies would be mandated to conduct the audit. There was only one, and they ignored some aspects. "In the end, 80% of the report was made by World Rugby employees. I do not like being lied to. That’s why I wrote to (World Rugby chairman) Bill Beaumont to ask why the process was different from the one they advertised. "The Irish did the same. They started the protest by sending a letter before ours." On Tuesday South Africa became clear favourites to be awarded the tournament after the findings of the technical review group favoured their bid. A final decision will not be made until after the World Rugby council votes on 15 November, and they hit back at Laporte's admonishment today. "World Rugby is concerned by the reported comments by host candidates regarding the Rugby World Cup 2023 host selection process and recommendation, and in particular those attributed to the Fédération Française de Rugby," a statement read. "While disappointment and high emotion following the announcement of a recommendation is understandable, such comments are both unfounded and inaccurate. "World Rugby has implemented a transparent, objective, professional and robust host selection process. "The comprehensive technical evaluation has been undertaken by a team of World Rugby and third-party experts, independently scrutinised by The Sports Consultancy against agreed scoring criteria. "The process has been supported by the host candidates, the Rugby World Cup Board and Council throughout. "We will be raising our concerns on this matter with the Fédération Française de Rugby and look forward to the World Rugby Council appointing the Rugby World Cup 2023 host on 15 November with a clear, comprehensive and objective recommendation to consider."